How it started and those moments in time. Paul and Jeremy met at what was then Manchester Polytechnic; Paul was completing a fine art degree and Jeremy starting an interior design degree. For the following three years they worked together on fitting out everything from a bakery to record shops and people’s homes, all while completing their degrees. The recession arrived and they took on their first premises on Hewitt Street in Central Manchester. An exhibition and party brought about the name Ferrious and they completed their first bar design, Grinch on Chapel Walks. Manchester nightlife was booming and Ferrious began to work with interior designers to create lighting, furniture, bars and everything in-between in clubs such as Sankey Soap and Cream. A commission to design a restaurant called Lush, in Manchester’s gay village kick started a new direction in furniture design and manufacture away from one off pieces and Ferrious launched their first collection in 1996 at 100% design in London, following on from this success was the launch at the Milan furniture Fair and then a best of British exhibition in Paris. A big year as Ferrious moved into its present premises on Whitworth Street West, at the time a derelict railway arch that needed to become a factory and showroom for the growing furniture manufacture. They also exhibited at their first 100% Design in London. 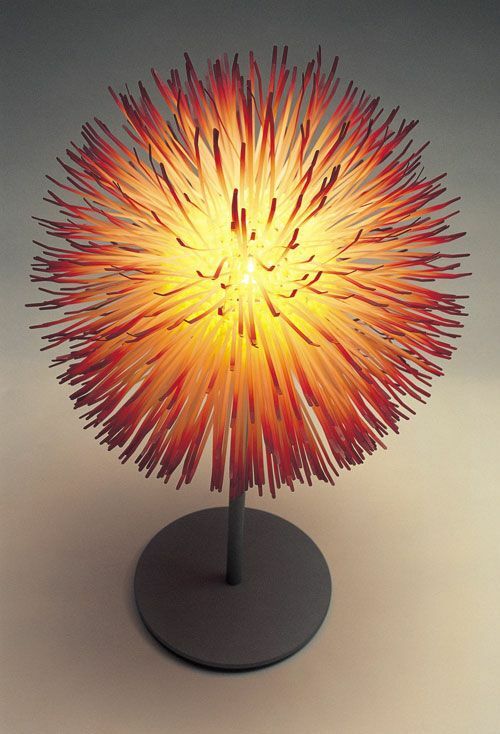 Ferrious began to work with other designers and launched the 850 light by Claire Norcross at 100% design where it won the lighting award and went on to be produced by Habitat under licence and become their biggest ever seller and helped Claire become head of lighting design for Habitat. Again at 100% Design to launched what was to become their best selling sofa, a development of Tuk which was launched the previous year. Tuk Two. Ferrious were commissioned to design the furniture for the new Home Office headquarters by Terry Farrell Architects. 2004 also saw Ferrious collaborate again with an outside designer, this time the hugely influencial designer Ilse Crawford. Her first furniture and lighting designs were born under the collective name of 36-24-36. The collection was launched at the London Design festival and then shipped to New York to be displayed in the Conran store for ICFF. The desire to create Manchester’s greatest design venue and store was unstoppable and so started the complete renovation of the Whitworth Street premises, bringing on boared companies such as Porro, Living Divani, Gubi, Artemide and Moooi. Ferrious’ largest contract project to date, the corporate hospitality at Chelsea FC and also Private apartments for Roman Abranovich and family. Ferrious open their kitchen showroom and become the exclusive dealer of Italian kitchen brand Acheo & take a trip to Palm Springs to design a stunning home. The year of the Midland Hotel, an Urban Splash development with 12 months of planning a chair and design collection for the most iconic of buildings, oh it was all going so well and then September 15th came. Ferrious worked with Oscar Pinto to create his new fashion store Hervia Bazaar and held the UK’s largest exhibtion of Moooi. Work starts on designing a new home for a TV director and Producer. Ferrious won the Living Etc design award at the Northern Design Awards for their contemporary garden room in the Hale conservation area. At the Northern Design Awards Ferrious were awarded, Best Independent Retailer for their Whitworth Street showroom and also Best Interior Public Space for their work on the MMU Geoffrey Manton building. Ferrious were commissioned to design and construct a multi-functional space by Manchester Metropolitan University called Drapers Courtyard. In collaboration with Claire Brooker, ferrious undertook the complete fit out and design of new offices for Clear Law. Since its opening, Ferrious showroom has held dedicated exhibitions of some of the leading design brands, shows that had never been seen in the UK before and its drive to bring the world’s greatest design to the Northwest continues today.